Maximizing the R&D tax credit requires understanding every opportunity within it. An often overlooked area is the R&D surrounding the purchase of new manufacturing equipment — specifically, equipment used or consumed in the production of a new or improved part. 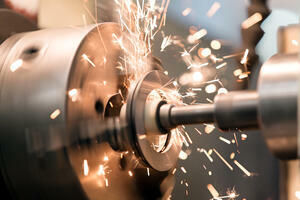 Purchasing new equipment is a regular and costly part of the manufacturing business. If you're investing in equipment every year like most manufacturers, here's how to tell whether it qualifies for this valuable deduction. New manufacturing equipment and all the resources needed to procure and use the equipment can often be forgotten about when considering the R&D tax credit. Usually, equipment is depreciated over time and thus not eligible for the R&D tax credit. Because of this, many manufacturers put it out of their minds when thinking about other tax credits. But there are many activities related to researching, developing and using the equipment that could qualify. For example, evaluating new equipment related to manufacturing process optimization initiatives could qualify you for R&D credits. And, if it is used or consumed in the production of a new part, then the full expense of the equipment may qualify for the credit like any other supply expense. In short, if a piece of manufacturing equipment is needed in order to yield innovation, it is worth investigating an R&D tax credit. Documenting the following time investments may help you increase your tax savings when it comes to new manufacturing equipment. Your new equipment may also require you to update the layout of your shop floor. The time it takes to analyze and rearrange the floor to both facilitate your new manufacturing equipment and improve the workflow within the new configuration can also be included. How can you be certain what you’re documenting relating to new manufacturing equipment counts towards the R&D credit? All activities must pass the four-part test to qualify. Once you’ve identified the need for new manufacturing equipment, keep an accurate account of your time in all areas related to acquiring, assembling and integrating it into your processes. Then, run it all through the four-part test to verify its qualification for the R&D tax credit. All four parts of the test are required in order to qualify. When buying manufacturing equipment used to create a new or innovative product or process, don’t leave money on the table. Take advantage of all tax credits available to you that can then be reinvested back into your business. Working with a professional tax adviser throughout this complex process is the best way to ensure a thorough and accurate claim is prepared to maximize your return on investment in new manufacturing equipment.